dwindle gradually between impeller and vane, air get out by exhaust hole. (fig4). 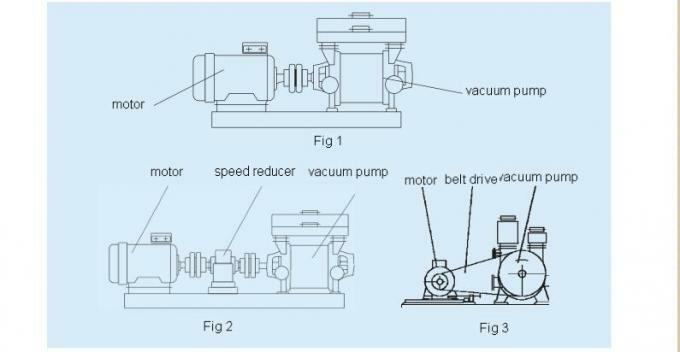 means one motor can connect with two or four liquid ring vacuum pump working at same time. from damage by the shaft friction. pump body can be rotating. cover to inspect working situation. non-transmission side, subject to shaft force. 3.7, automatic drain valve: made of HT200, can automatic drain extra water, be working better. Pump disassembly including preparation,disassembly, and checking later. 1.2, getting tools ready, as wrench,hammer,pipe clamp. 2.1, remove any pipe and valve which connect with pump. 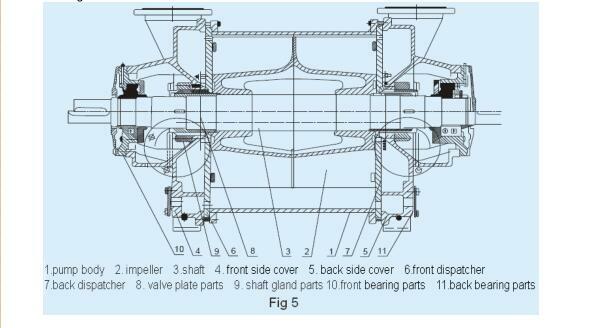 2.5, remove the side bearing spare parts of transmission(fig7). 2.5.1, relax hex bolt 12.14, remove the outer bearing caps12.04. 2.5.2, remove the check ring12.07. 2.5.3, remove the centrifugal disk12.06. 2.5.4, relax hex bolt 12.13 and inner bearing caps12.05. 2.5.5., using bearing outer ring and roller bearing to remove bearing shell. 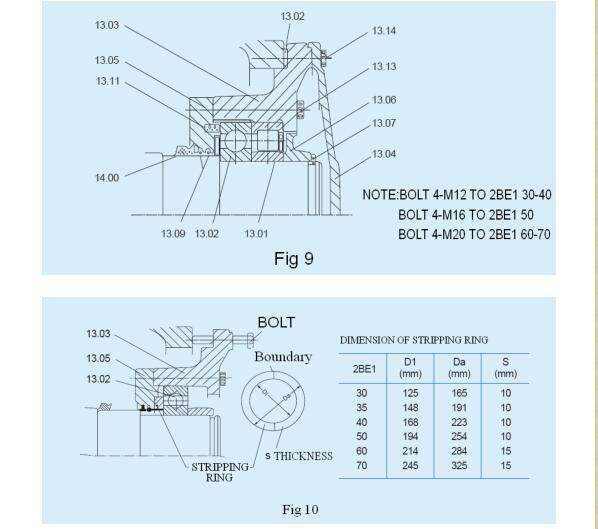 B, crossed bolt cover evenly can be removed inner ring bearing. 2.6, disassembly side bearing spare parts of non-transmission(fig8). 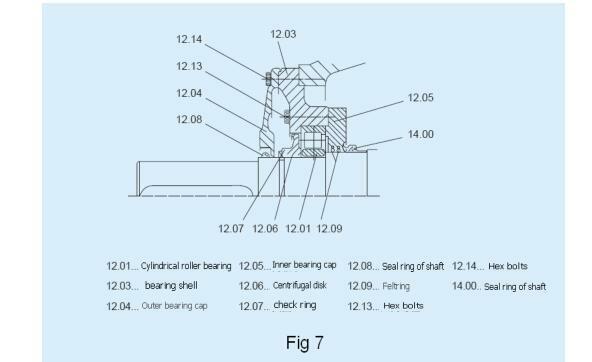 2.6.1, remove outer ring roller bearing13.01, same method with 2.5.
b. fixed inner bearing caps with bearing shell13.03. c. crossed bolt cover evenly can be removed bearing. pump body, relax the same flange between pump body6.01 and side cover7.01. 2.13, should separate shaft and impeller because they are heat sets. 1. Air temp 20℃, water temp 15℃, and discharge pressure 1013hpa. 3. 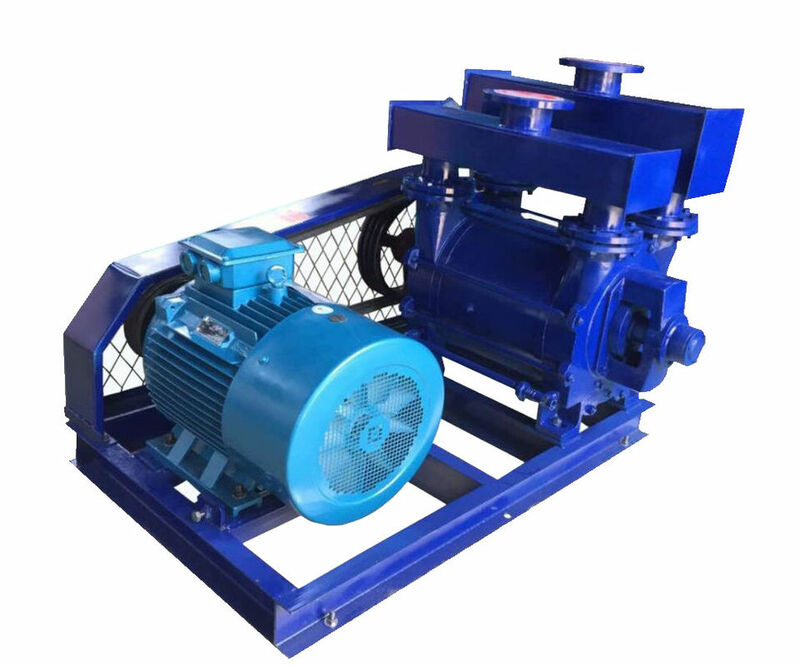 Motor power adopts matching set power, if users have special request such as compressors, please consult with technical Dept. 4. If any data is changed, please forgive us not instructing you in time.